Kenneth Simataa Matomola has been appointed as acting CEO of NAMFISA. Chairperson of the Board of the Namibia Financial Institutions Supervisory Authority (NAMFISA) announced this week that Kenneth Simataa Matomola, the former assistant CEO of Supervision, has been appointed to the position of the Authority’s acting CEO. Mr Matomola’s appointment follows the untimely death of former CEO, Mr Philip Shiimi, killed in a car crash earlier this month. “The NAMFISA Board has full confidence in Mr. Matomola’s abilities to lead the institution in the execution of the Authority’s mandate and transformational agenda”. Elaborating on his background, Ms Tjipuka said Mr. Matomola held the Assistant CEO: Supervision position since April 2014. He joined NAMFISA in May 2011 as General Manager: Investment Institutions. 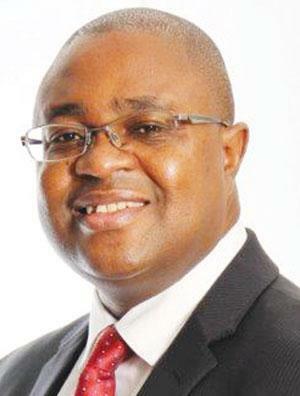 He previously worked at the Bank of Namibia, where he held various positions in the Banking Supervision Department. After the Bank of Namibia, Mr. Matomola joined First National Bank where he worked as Trainee Manager: Credit, and Manager: Regulatory Reporting, and as the Project Manager for Basel II Implementation.